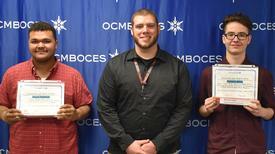 Eight OCM BOCES Automotive Technology and Automotive Collision Technology students were recognized May 3 for their outstanding achievements through the Snap-On Tools for Success awards program. 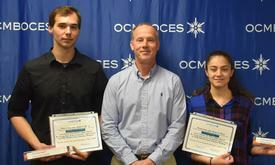 Teachers selected students from each of the OCM BOCES four automotive program classrooms for their excellent skills in automotive technology, math and science skills, as well as for their outstanding classroom participation, attendance and attitude. 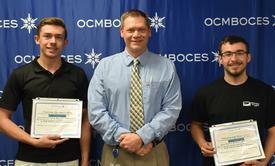 Teachers gave each student a certificate of excellence and a Snap-On Tools screwdriver worth more than $100. 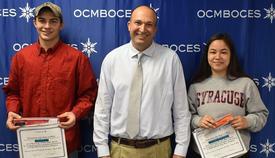 For more information about the OCM BOCES Automotive Technology, Automotive Collision Technology or other Career and Technical Education Programs, contact OCM BOCES’ Director of Career and Technical Education Phil Grome at pgrome@ocmboces.org.